TRENTON, N.J. – NJGOP Chairman Doug Steinhardt cut an anti-rain tax video with Asm. Ryan Peters (R-8), and the pair released their work product on Monday. The significance: Peters (who is encouraging towns to pass resolutions opposing the new law allowing them to set up fee-assessing municipal authorities) is in the middle of a primary fight. His ex-running mate Asm. Joe Howarth (R-8) was dumped off of the 2019 ticket after being accused of trying to switch parties. Peters is running with retiring Sheriff Jean Stanfield. Chairman Steinhardt: Hi, I’m NJGOP Chairman Doug Steinhardt and I’m here today with one of New Jersey’s best and brightest, South Jersey Assemblyman Mr. Ryan Peters. Assemblyman Peters: We appreciate you tuning in because we have something very important to bring to your attention. A few weeks ago Governor Phil Murphy, signed into law his newest scheme: the rain tax. 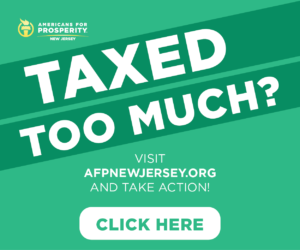 This new law is nothing more than another Trenton money grab saddling NJ’s already overburdened families and businesses with another unaffordable and unnecessary obligation. The Rain Tax is a cleverly disguised new assessment on patios, parking lots, driveways and roofs. Homes and businesses, and even Churches, charities and non-profits are all susceptible to this new property tax. Chairman Steinhardt: Many towns and cities around the state may face real stormwater problems, but residents should know that the Rain Tax is not a serious solution. The language of this law describing how much people and businesses will pay and how the taxes generated will be used is vague and ambiguous and, as usual, Trenton bureaucrats skim off 5% for its use, not yours. We must work within our means to solve our communities’ problems, but the cost of raising a family or owning a successful business in New Jersey is at a breaking point, and another manipulative revenue stream to pad government budgets instead of promote discipline is not the answer. Assemblyman Peters: The good news is our local governments have a check and balance on Trenton’s latest tax scheme. Your town or city’s Mayor and local council members can reject the rain tax. We are helping to start a movement to urge local governments to pass resolutions pledging to reject the rain tax. We’ve sparked a fire and now the NJGOP and Chairman Steinhardt want to do their part to pour fuel on the flames and bring this to everyone’s attention. 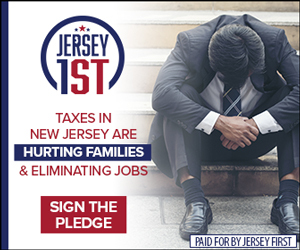 Chairman Steinhardt: In the comment section, you’ll see a post from the NJGOP with a link to a petition where you can urge your local elected officials to pledge to end the insanity and ban the rain tax. We’re drowning in taxes already. 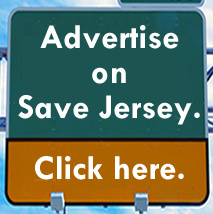 Please join us and help to cut off the steady stream of government mandates coming from Trenton and Governor Murphy. Sign the petition and tell your local government to ban the rain tax. 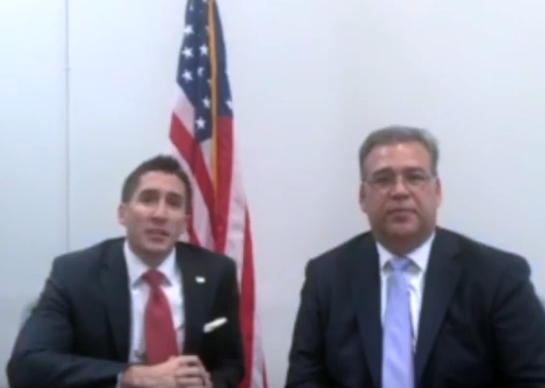 I’m NJGOP Chairman Doug Steinhardt with South Jersey Assemblyman Ryan Peters and we thank you for watching. Previous Previous post: N.J. is having a better Tax Day thanks to Trump. Want more back? Fire Phil Murphy.